The Max Interval workout is designed as HIIT, where you take on rigorous intervals and recovery periods, and benefit from a big calorie burn and improved endurance over a short period of time. HIIT has been shown to be one of the most effective ways to get in shape. And because you definitely don’t have extra hours to waste, the Max Trainer® machine cranks up workout efficiency and effectiveness to get you to your goals faster. Beginner? Regular exerciser? Or competitive athlete? We’ve got you covered. 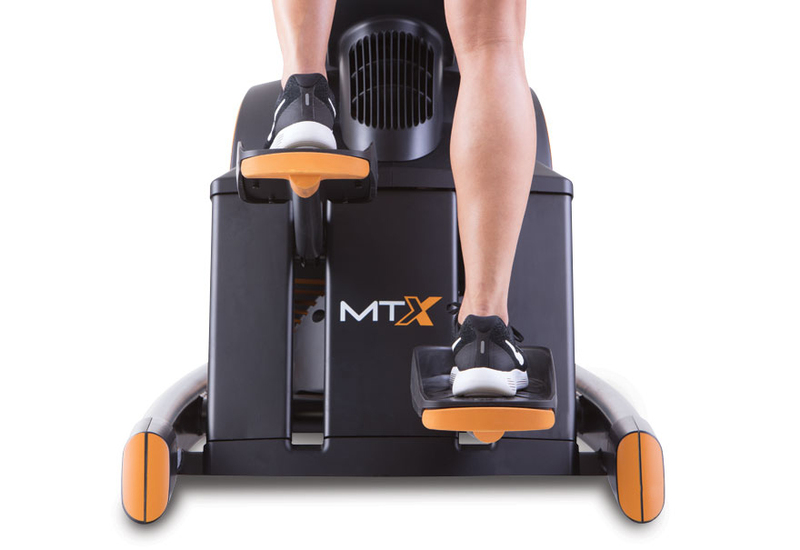 With 10 levels of resistance, the Max Trainer® machine offers lighter intensity all the way to all-out, hard-as-you-can levels. 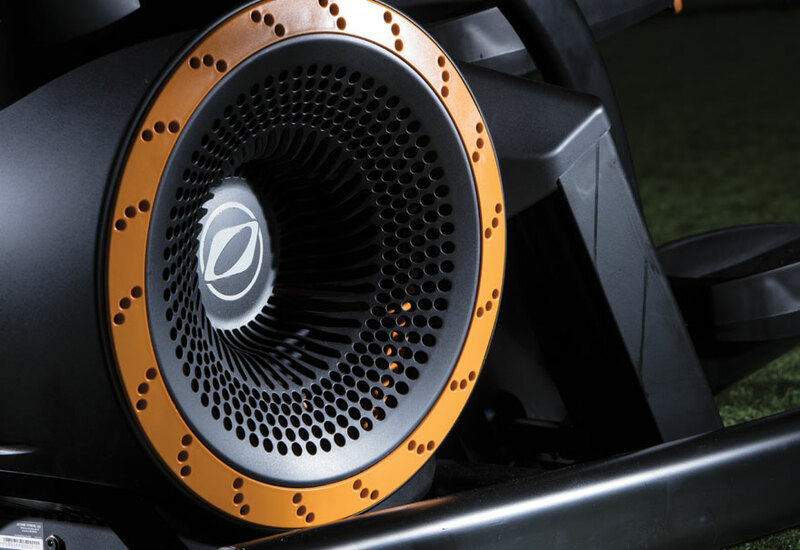 The unique combination of wind resistance and a magnetic brake yields a customized, virtually endless intensity that enables you to take on a leisurely or moderate steady-state pace or to tackle exhilarating, hurts-so-good intervals. The in-your-face calorie meter delivers an up-to-the-second display of calories burned per minute, so there’s no way to phone in your workout. Trust us, that’s a good thing. The compelling quest to bury the needle spurs extra stamina and repeat workouts. Continue progressing by setting calorie-burning goals in steady-state or HIIT workouts. 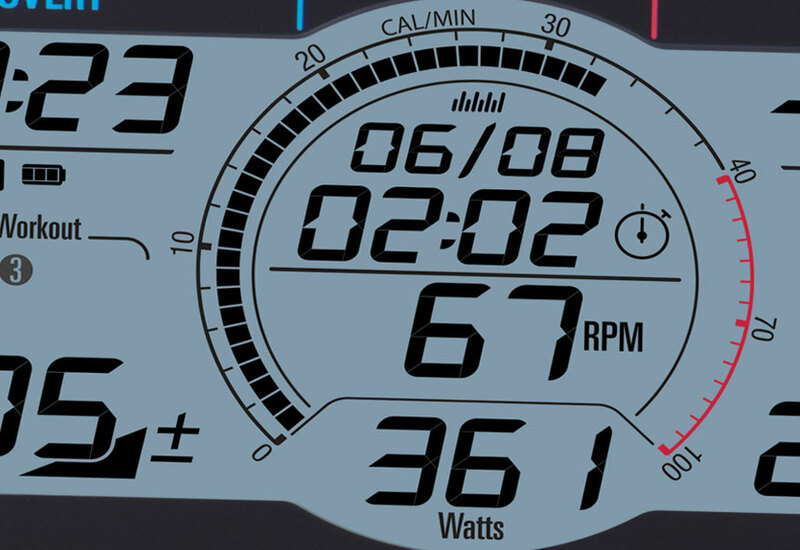 Keep an eye on the meter to see how you’re doing along the way, and to make necessary adjustments in pace at any time. 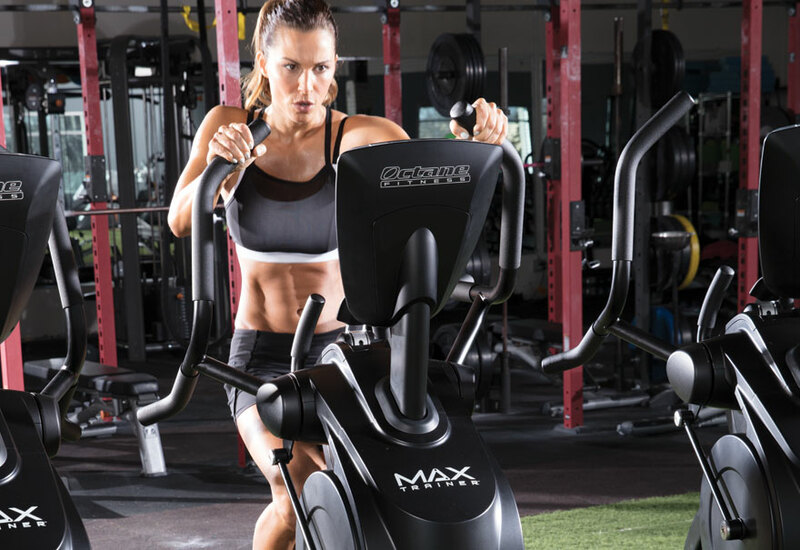 Built with Octane’s signature durability for the most punishing workouts at busy health clubs worldwide, the commercial-grade Max Trainer® machine delivers premium performance at home – no matter how often you use it! Bonus! With a compact footprint and self-powered operation, the Max Trainer® machine fits easily anywhere you want it at home – even in small areas. Ditch complicated consoles, where you have to press a bunch of buttons and decipher confusing directions just to get started. 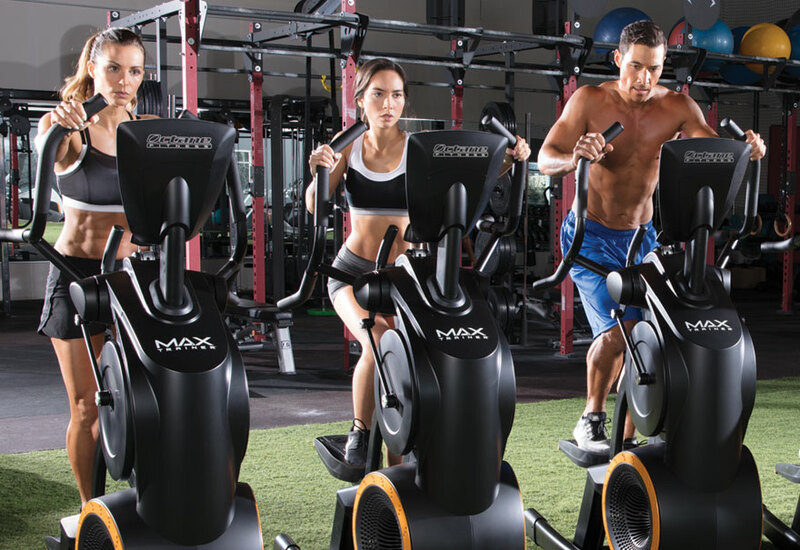 The beauty of the Max Trainer® machine is that you just get on and go – without having to program the equipment or figure out time-consuming adjustments. Simple! 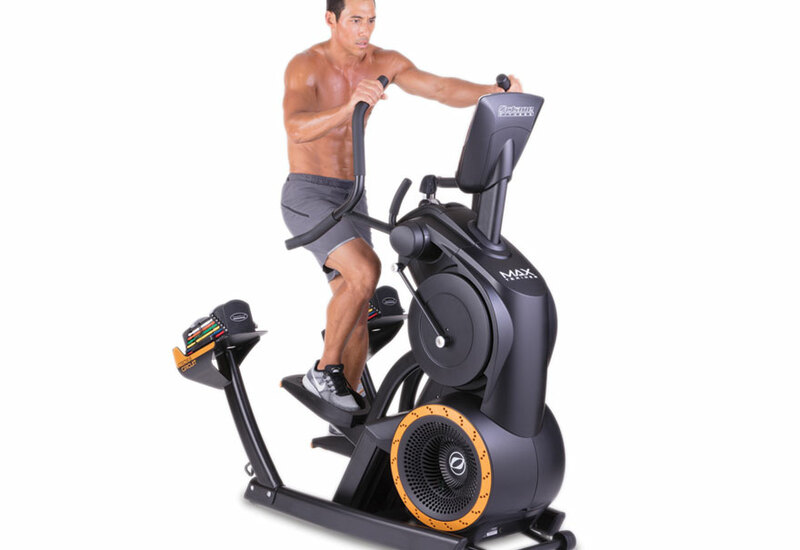 If you’re doing a circuit workout, the Max Trainer® machine is ideal, with its instant resistance in response to your efforts, and no significant ramp-up time where your heart rate can drop and intensity decreases. Every second of your workout counts! Progressive intensity, provided by wind resistance and a magnetic brake, means that you can constantly challenge yourself, make progress and get results, whatever your fitness level. The harder you push, the more resistance the machine delivers, so it’s easy to vary intensity throughout sweat sessions. There’s no way to max out, so everyone in your home can take advantage of their preferred Max Trainer® workouts. Multiple hand placement options offer custom comfort and variety to exercisers of all sizes. Fully engaging the upper body on the Max Trainer® machine yields more work for your chest, back, shoulders and arms, and the high-intensity capacity means that your entire body must work hard. Every muscle definitely matters, and your arms cannot just go along for the ride! For superior motivation, the convenient calorie meter offers constant feedback on calories burned per minute, encouraging you to continually push your pace to accomplish even more. It’s addictive! At a glance, you can track time, floors, pace and total calories, so it’s easy to make instant intensity adjustments as necessary within steady-state or HIIT routines to meet goals and improve progress. In HIIT, every second counts. 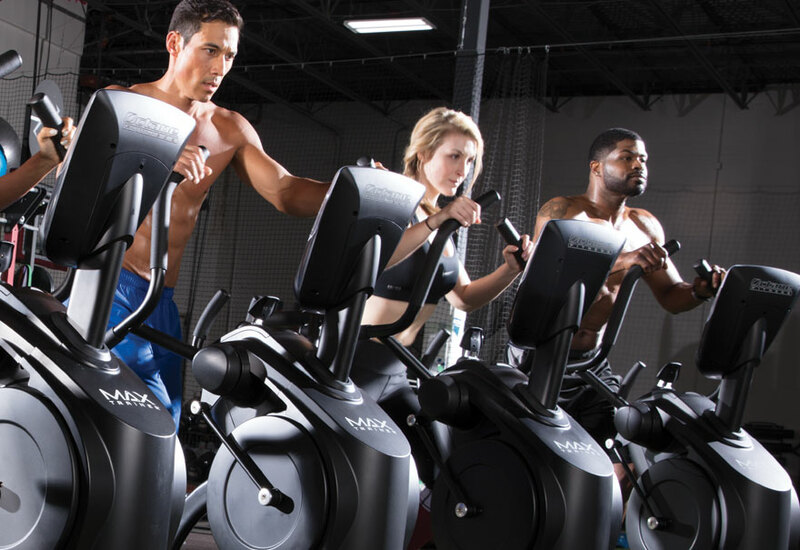 Responding immediately to your efforts, the Max Trainer® machine boosts resistance right away, so you don’t lose valuable seconds or intensity during timed intervals or circuits. Because there’s no need to gradually build pace, you can quickly maximize your intensity for unbeatable efficiency and effectiveness. Exercise with a buddy or with your family members! 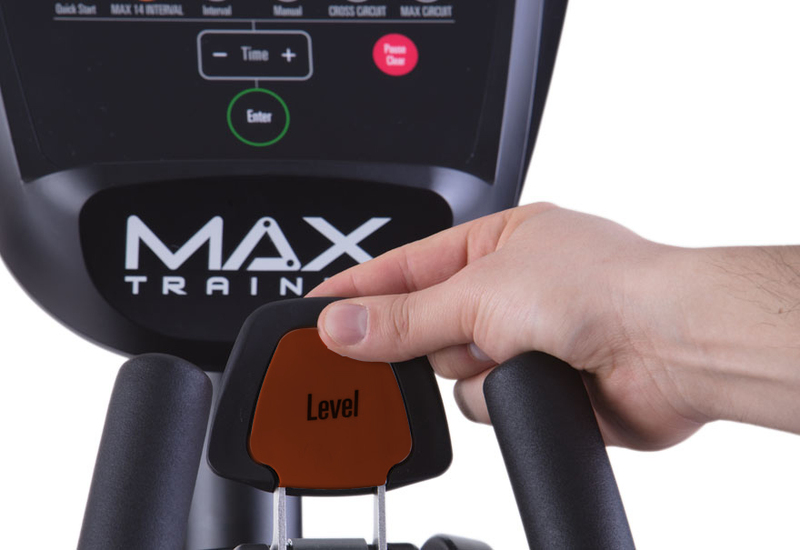 With the Max Circuit program, the console individually calculates time and intensity for each user, automatically resetting to zero in between exercisers. While one person is on the Max Trainer machine, the other/s can be cranking out strength or other cardio exercises nearby. Circuit training is simple and quick – just like it should be. With no adjustments necessary or complicated programming, there is zero learning curve – so you and your workout partners can dedicate all your energy to performing your best. We get it. You want to get on, get going and get done – fast. 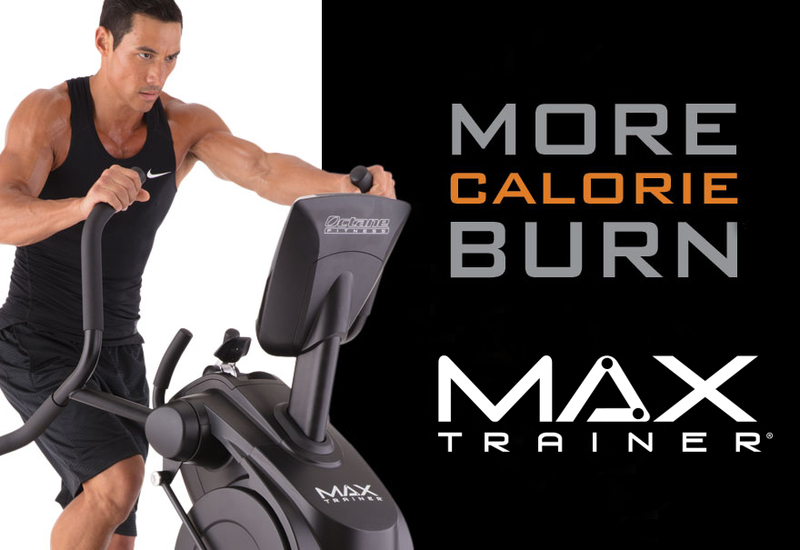 All about efficiency, the Max Trainer® machine delivers. You benefit big-time from maximum calorie burn and powerful conditioning in a short amount of time, helping to drive more motivation and results. HIIT has been recognized to help boost stamina, blast calories, burn fat and elevate metabolism – both during workouts and possibly hours afterward, thanks to the bonus afterburn effect. 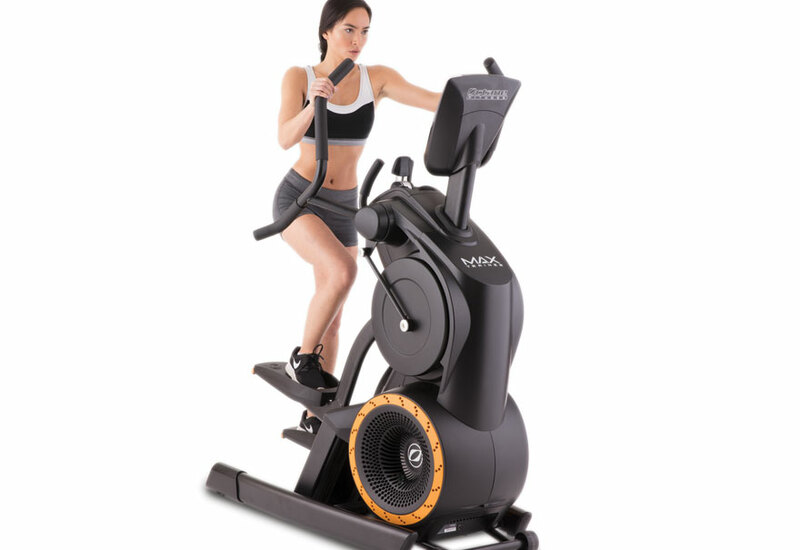 The CROSS CiRCUIT Pro Kit creates a compact, versatile cardio-strength station right in your home. 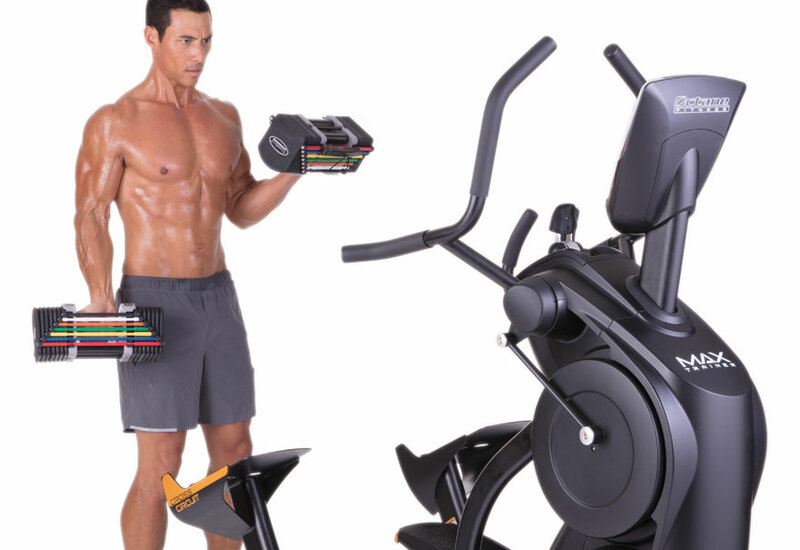 It includes two PowerBlock dumbbells, which are easily adjustable from 4 to 32 pounds each, and an integrated PowerBlock weight stand on the Max Trainer® machine. 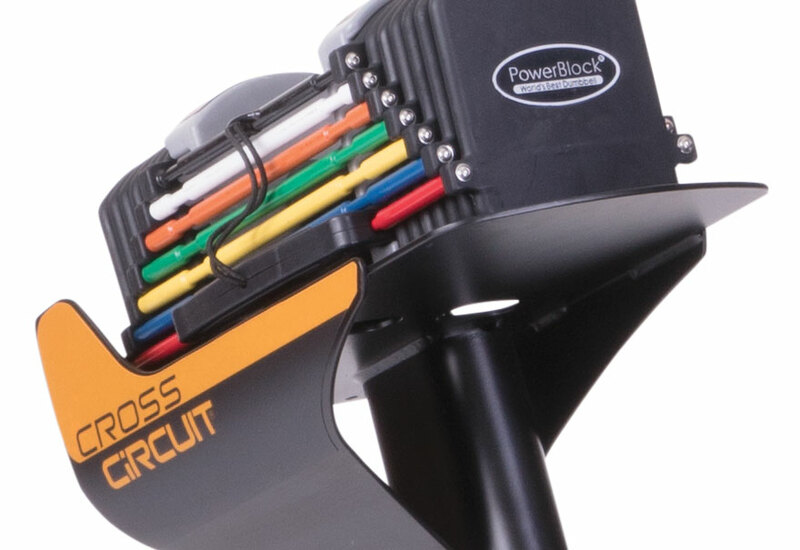 The beauty of the CROSS CiRCUIT™ workout is the ongoing ability to progress, so that it accommodates exercisers of different levels and continues to offer challenges and novelty as you get more fit. The bottom line is that the CROSS CiRCUIT™ workout motivates you to push yourself, and equips you to work harder to achieve the results you want. With the CROSS CiRCUIT™ workout, you won’t get bored. In addition to the Powerbands or PowerBlocks, accessories such as a stability ball, barbells, gliding disks and more, vary exercises and create new challenges. Also, you can easily change the order of exercises, along with the length of cardio intervals and the duration and number of strength training sets. Now it’s simple to energize and maximize your regimen with CROSS CiRCUIT™ workouts. Get fueled! 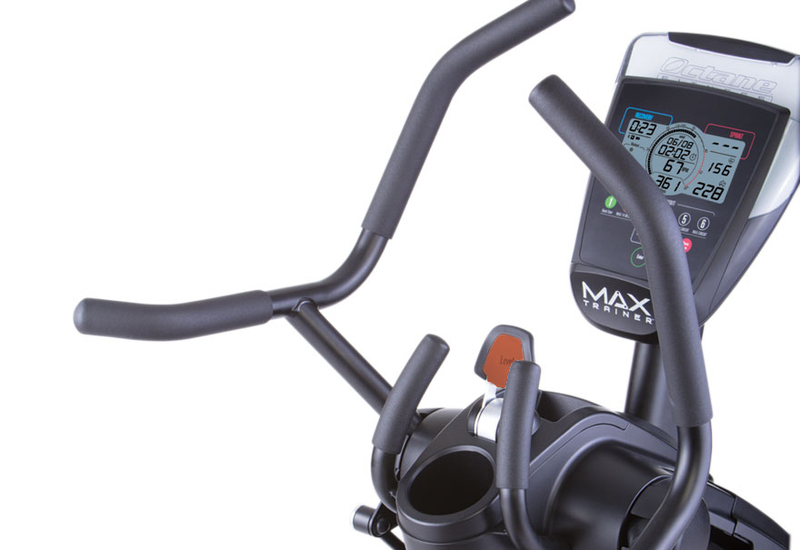 Click the button below to add the Octane Fitness Max Trainer to your wish list.